This past Saturday, February 1st, we celebrated our Grand Opening to dedicate our new home and DANG, it was a fun time. We raised just over $1,300 to help send our homegirl Sarah Goodin to a private audition in Miami to try out for The Voice, unveiled our collaboration with the fabulous Village Books, showcased the work of the talented Rifka MacDonald and Kelsey Shepard, introduced visitors to lovely local producers such as Evolve Hand Made Chocolate Truffles & Hammerhead Coffee, and shared our vision for our new home. 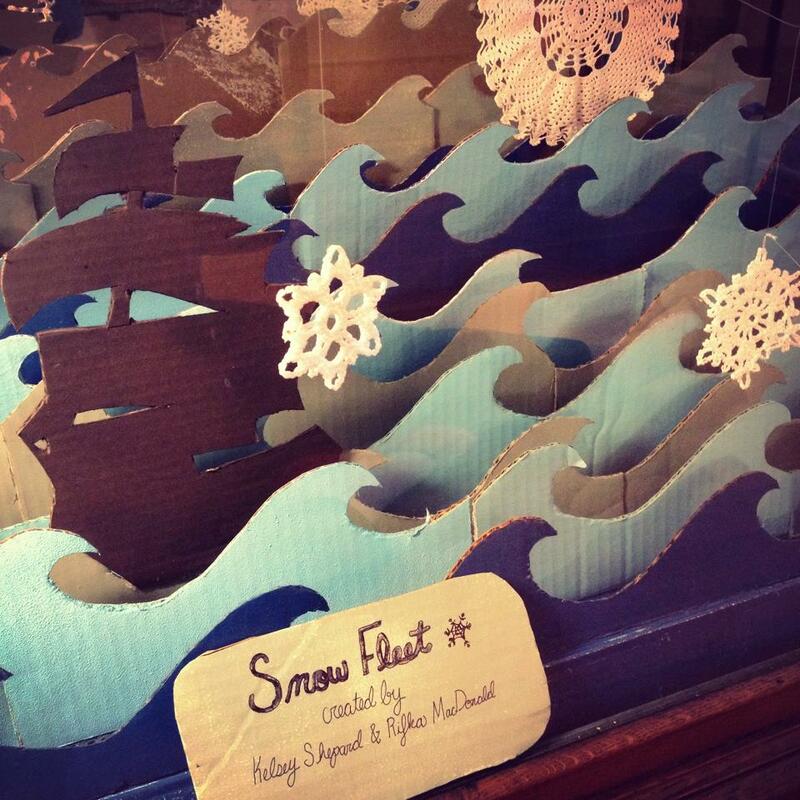 "Snow Fleet" curated installation by Kelsey Shepard & Rifka MacDonald. This cell phone photo really can't do this 10-foot-long display justice, so I recommend you come take a look for yourself! From Bellingham Reviews and Ruminations. 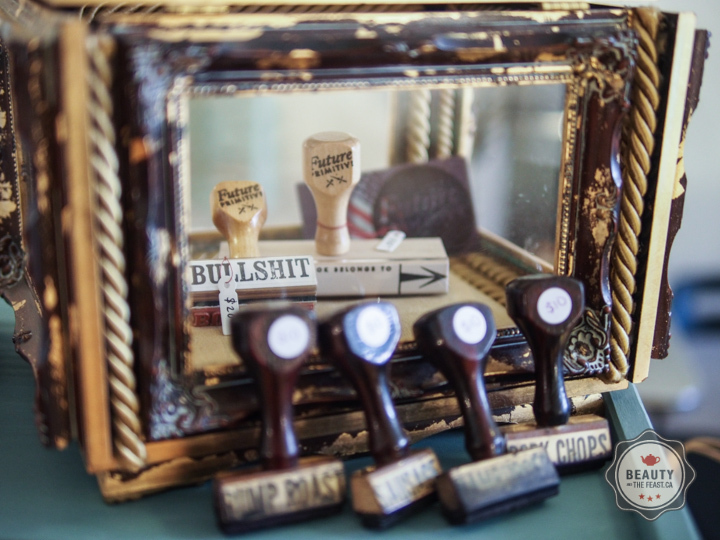 Walking into the Bureau is like stepping into a Bellingham Wunderkammer, a Living Cabinet of Historical Curiosities, filled with an elegant selection of art, jewelry, soaps, fragrances, books, prints, furniture, objects d'art and local curiosa. There is a lovely curated quality to everything - you sense each and every item was chosen with care and consideration to showcase only the most fascinating and interesting aspects of Bellingham. And everything is reasonably priced. From Beauty and the Feast. Madame Scodioli products. Photo by Ivy Haisell, http://www.beautyandthefeast.ca/. The little boutique is the type of store you would expect in Williamsburg, New York but is resoundingly proud of it's Bellingham heritage. Take for example these wood handled rubber stamps (shown in the gallery below) that are available for sale. They were salvaged from a closed butcher shop in the area. It's evident that everything is curated for it's artistry and uniqueness. Older PostThis is Frederick Dames.